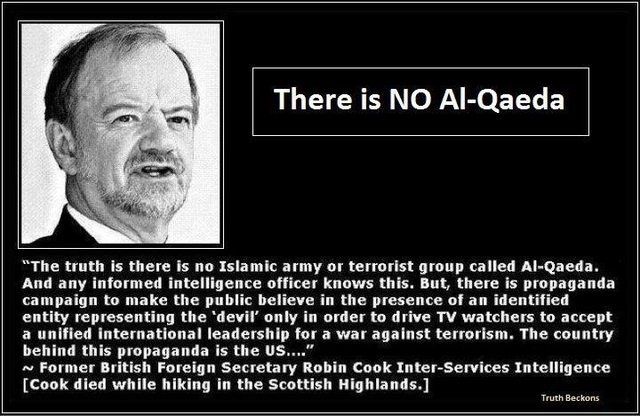 When and where Robin Cook said this ? He is loyal ally and supporter of NATO bombing of Serbia 1999. He said it to the House of Commons shortly before his death. It was just after the London 7/7 event.